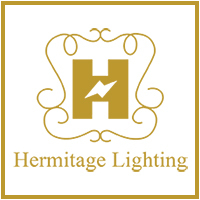 Hermitage Lighting Gallery has served the Nashville community for more than 70 years, and has established a reputation as the premier source for lighting, hardware, and appliances, as well as custom kitchens and baths. We have a terrific selection of lighting and design items that meet the budget needs of all of our clients. We work with every style and every budget, so you know you’ll always find what you need when you shop with Hermitage. We work with Middle Tennessee’s top builders and designers, providing them with the finishing touches required to create beautiful spaces in Nashville and across the United States. You can view our lighting selection in our online store or stop by our downtown Nashville showroom to see our selection in person. We have thousands of pieces that are perfect for your home or office, from new lighting to a complete custom kitchen or bath. You can trust the Hermitage Lighting Gallery team to help you get the items you need on time and on budget, while exceeding your expectations every step of the way. Experience the customer service at Hermitage for yourself and see why since 1944, more people have trusted us with their home and commercial lighting needs. Feel free to contact us with any questions and let our team help you find the perfect piece. Let’s get to work on your next project!